1. I was hugely honored and humbled to see that The Sweets Life was selected by Huffington Post as one of their Top 10 Food Blogs of August. There are thousands of food blogs out there far better than this one and while I'm certainly not blogging for any accolades, it's always encouraging to get positive feedback! Thank YOU readers, for your support! 2. The recipe from one year ago today? Peach, Avocado, and Arugula Panzanella. You need to make it! 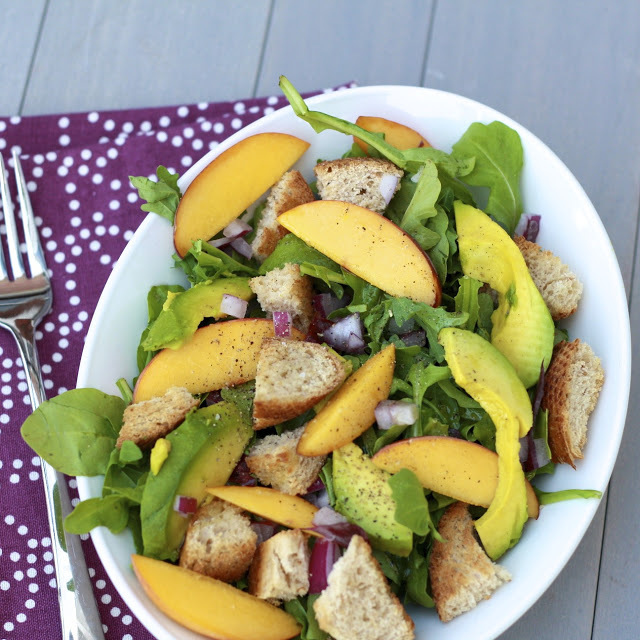 We've been buying tons of peaches lately and they've been perfectly ripe...which is exactly what you want for this healthy summer meal! 3. I'm not one to label things as my favorite, mostly because there are way too many things I love that could qualify as a favorite...favorite ice cream flavor, favorite TV show, favorite friend...don't ask, I can't answer! 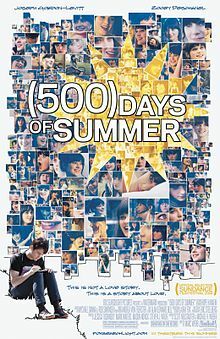 That being said, (500) Days of Summer is truly (one of) my favorite movies. It's one of those movies that I can watch again and again, never tiring of it (or of swooning over Joseph Gordon-Levitt!). 4. Although I am all about making your own fancy burgers (hello, turkey burgers made with bacon, and pepperjack cheeseburgers with a spicy relish), sometimes you just want a classic. 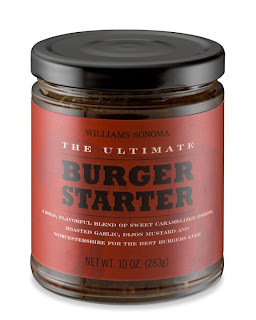 On those days, just throw some Williams Sonoma Ultimate Burger Starter into the meat. You'll find yourself with insanely juicy, insanely flavorful burgers that don't need a single topping (though we can't resist adding lettuce, tomato, and bacon!). It's a bit pricy ($11/jar), but you'll get a lot of burgers out of that jar and they'll taste better than what you can order in a restaurant!